Today I’m interviewing a scout and author, Natasha Farrant. Scouts always seem very mysterious to me, and the most likely people to really, secretly be spies….so I’m really excited to learn more about it! The buying and selling of translation rights is a crucial part of the publishing business, and books originating in the English language continue to dominate bestseller lists worldwide. I am employed by overseas publishing companies to keep them up to date with all that is going on in children’s publishing in the UK, and to a lesser extent in the rest of the English speaking world. On a day to day basis, I am liaising with agents and publishers, face to face, by email or on the phone. I mainly want to hear about new submissions and books that aren’t published yet, but my clients also need to know about what is selling well (and what isn’t selling) and emerging trends. They want early access to manuscripts and advice on the big books that are being hyped, but they also want advice on which of the thousands of submissions they receive each year they need to prioritise. I also organise their business trips to London and New York, I help them in negotiations if they need me to, I introduce them to other like-minded professionals wherever I can. Children’s publishing worldwide is a vibrant, wonderful network. It’s my job to make sure my clients are a part of that conversation. How did you get started as a scout? I was the Rights Manager at HarperCollins for about eight years before becoming a scout. Then one of the publishers I used to sell books to – Hachette Livre in France – asked me how I would like to be “their woman in London”. Over the years I have added clients from different countries, and I now work with publishers all over the world. You’re also a published author yourself. How does writing fiction affect your work as a scout, and vice versa? The book market is really tough at the moment all round the world, and my clients are looking for books that will SELL. So I have to constantly be assessing stories for their commercial rather than their literary merit. Sometimes the two happily coincide. Often they don’t, and as an author, I musn’t let this grate. Over the years, I have learned to compartmentalize: a scout’s job is to assess the commercial viability and literary merit of a manuscript. A writer should write the book that demands to be written, and make it as good as he or she possibly can. The people I meet – wonderful publishers from around the world, who are all passionate about their work. I go to New York every September to meet with American publishers and agents, to Frankfurt and Bologna book fairs once a year, to Paris regularly to meet with Hachette and I’ve been to Hamburg a couple of times to meet with my German clients, Carlsen. It’s a hard life! I would like to see a revitalized high street with more specialist booksellers, a fresh injection of cash into schools specifically for the compulsory provision of school libraries. With more outlets for their books, perhaps publishers would be less afraid of taking risks on new writers. 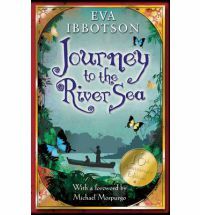 I love everything ever written by Eva Ibbotson and secretly (well, not so secretly anymore!) want to write like her. As a child, I read everything I could lay my hands on, from Blyton to CS Lewis, but I particularly enjoyed American writers like Walter Farley, Laura Ingalls Wilder and Mary O’Hara. As an author, writing AFTER IRIS. As a scout, building a vibrant network of international publishers. When I read for pleasure, I almost perversely seek out books that are the opposite of what I do for work and what is being published today. This summer I read Jane Austen’s EMMA and several historical biographies by Stefan Zweig. 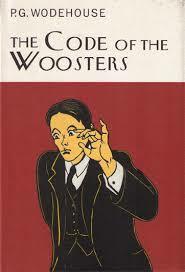 I also love PG Wodehouse and French detective novels. I would say think very carefully about what you are getting into. If you are passionate about books, the realities of publishing are sobering. If like me you can’t imagine yourself working with anything other than books, don’t fixate on editorial: there are other wonderful jobs – publicity, sales, marketing, rights. Be prepared to do the most mundane tasks at first: publishing is one of those industries where you’re expected to learn on the job, whatever degrees you may hold. I started as a 5 week temporary secretary . I was a lousy secretary – I lied about every single one of my skills to get the job – but they must have liked me, because they extended it to three months, and then full time. Natasha is the author of THE THINGS WE DID FOR LOVE and the Bluebell Gadsby books, all published by Faber and Faber. Visit her website www.natashafarrant.com, or follow her on Twitter at @NatashaFarrant1. This entry was posted in behind the book on 25/09/2015 by Lauren James.